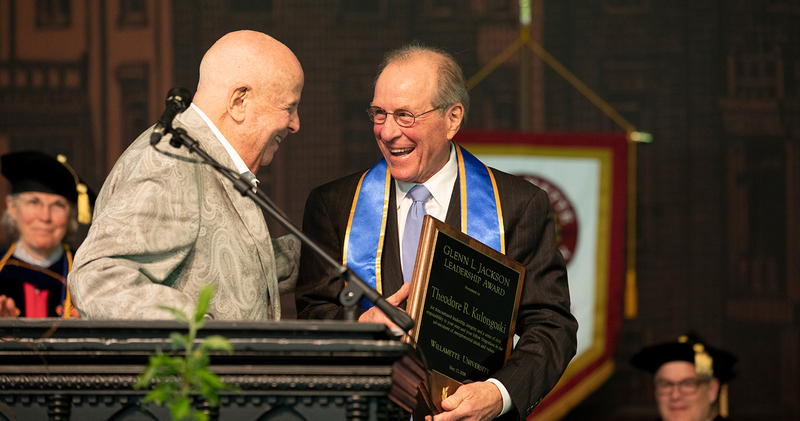 Gerald W. Frank, life member of Willamette University Board of Trustees, presents the Glenn L. Jackson Leadership Award to Governor Theodore R. Kulongoski. 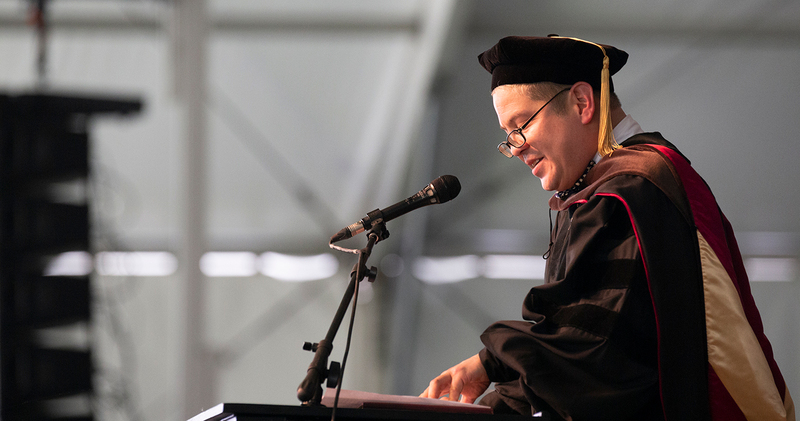 Thomas M. Lauderdale, founder of Pink Martini, speaks at the College of Liberal Arts commencement. Smiles and tears. Pride and nerves. 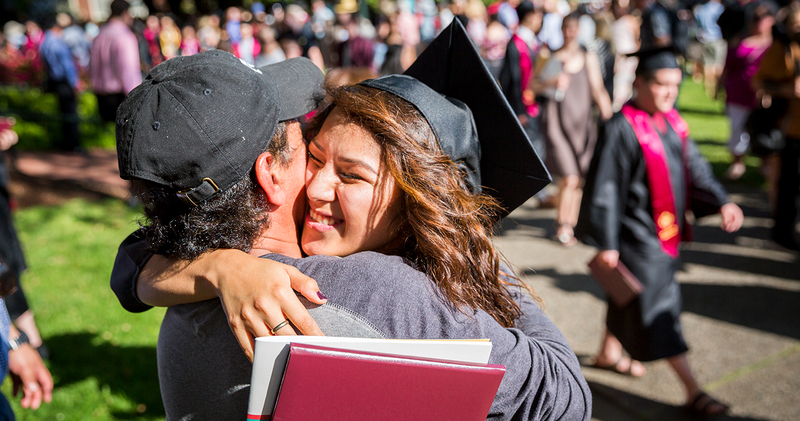 At Willamette University’s commencement ceremonies on May 13, 2018, graduating students and their families experienced a rollercoaster ride of emotions. 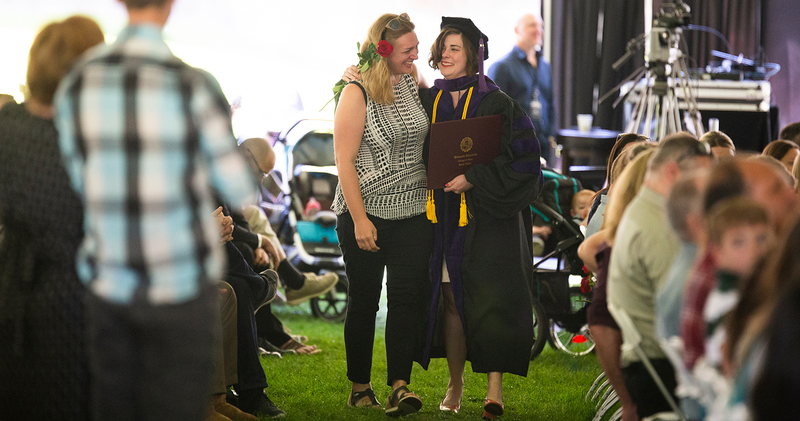 Members of the class of 2018 celebrated the culmination of years of hard work and looked forward with excitement and some trepidation to new career and life adventures. Yet they also bid a bittersweet farewell to their alma mater, professors and friends. 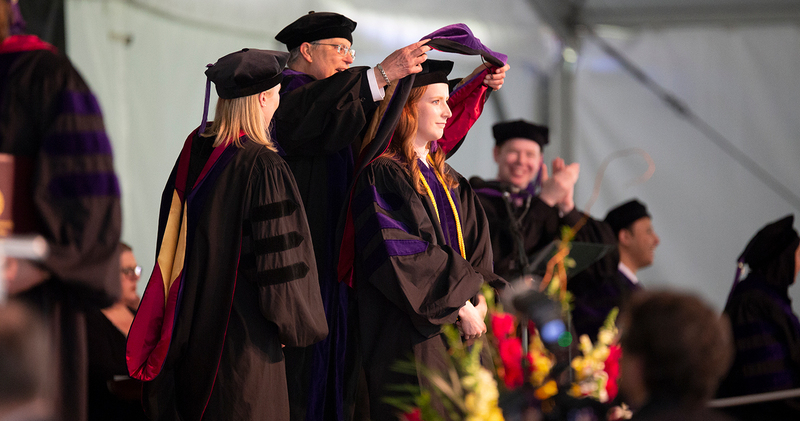 Former Oregon Governor Theodore Kulongoski served as Atkinson Graduate School of Management’s commencement speaker. 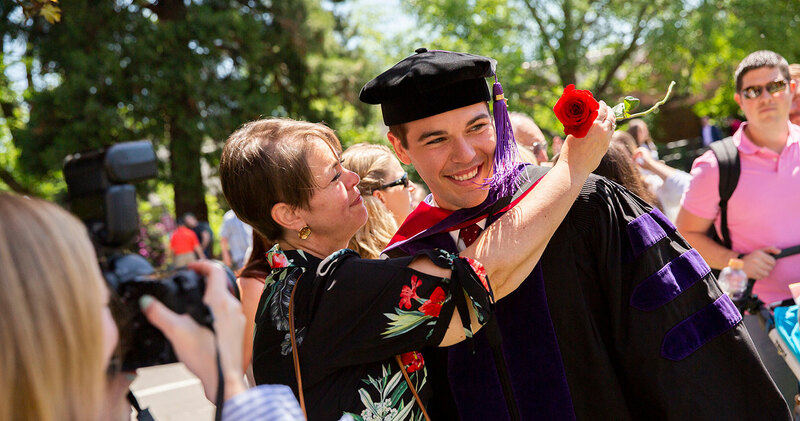 He received an Honorary Doctor of Laws degree and the Glenn L. Jackson Leadership Award, which recognizes individuals who have promoted entrepreneurship and public-private partnerships in Oregon. 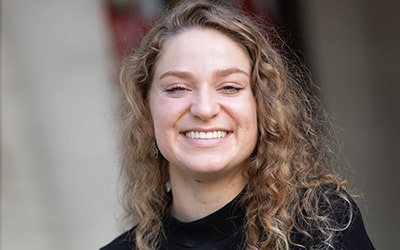 Similarly, Hazel Patton, a community leader, activist and historic preservationist who received an Honorary Doctor of Public Service degree at the College of Liberal Arts commencement, urged students to make time in their lives to volunteer. 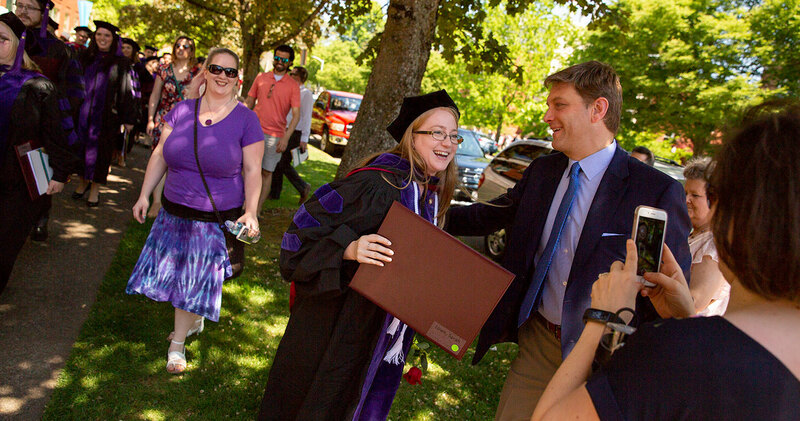 At its commencement ceremony, AGSM honored the service of Dean Debra Ringold, who is returning to the faculty. She received the designation of emeritus dean from the Board of Trustees. 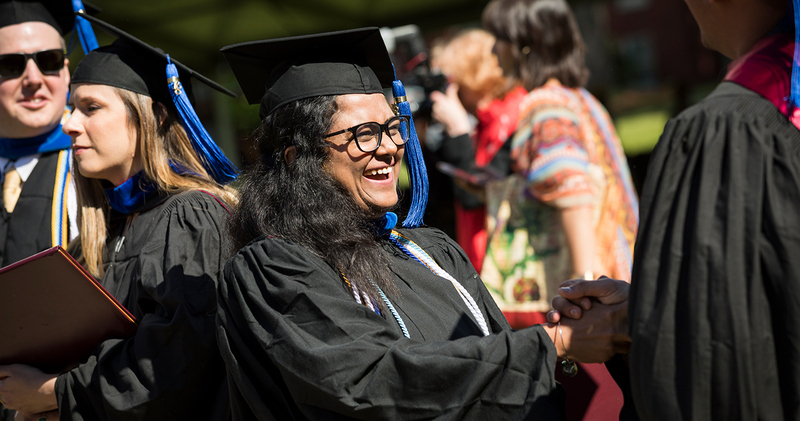 As graduates crossed the stage to receive their MBAs, many offered her enthusiastic handshakes and bear hugs as thanks her for her leadership and commitment to students. The university also conferred emeritus diplomas on four retiring College of Liberal Arts faculty members: Mark Janeba, associate professor of math, after 32 years of service; Ronald Loftus, professor of Japanese language and East Asian history, after 35 years of service; Genevieve Orr, professor of computer science, after 23 years of service; and Barbara Stebbins-Boaz, associate professor of biology, after 20 years of service. 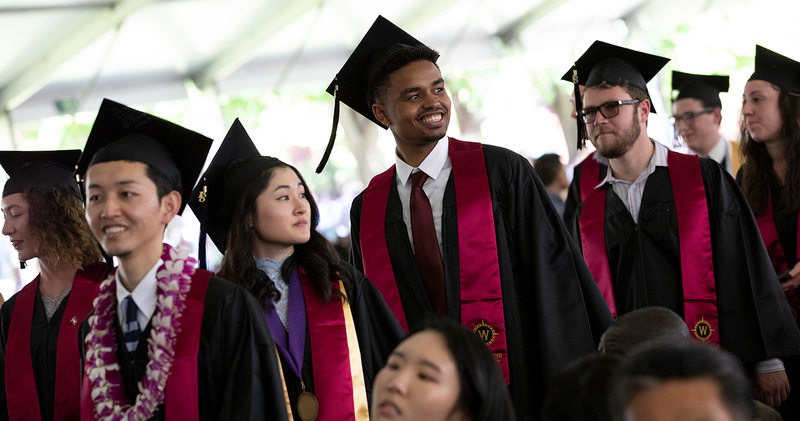 In the days leading up to commencement, various groups on campus celebrated the achievements of the soon-to-be graduates. 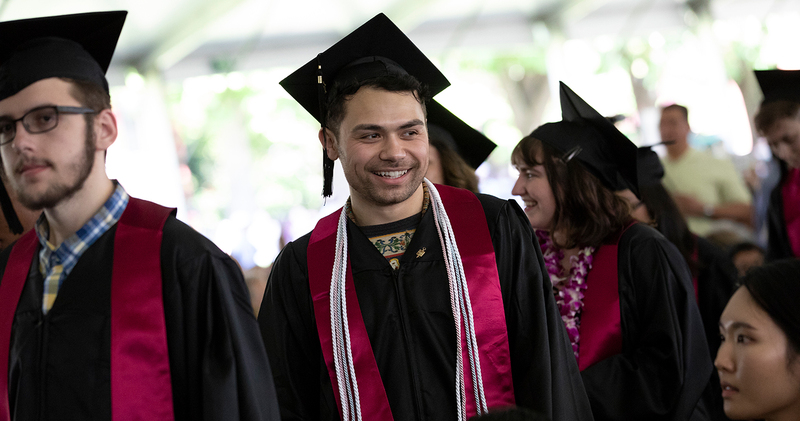 At the Honors and Awards in Bearcat Excellence luncheon, the university recognized more than 30 students for their positive contributions to the Willamette community. 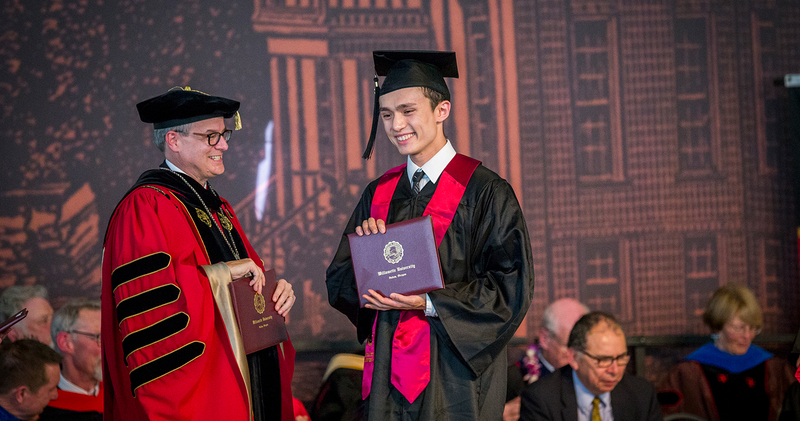 At the Distinguished Senior Awards luncheon the Friday before commencement weekend, the university presented the Senior Keys and Senior Certificates to outstanding members of the senior class who provided meritorious service to the student government and the student body. 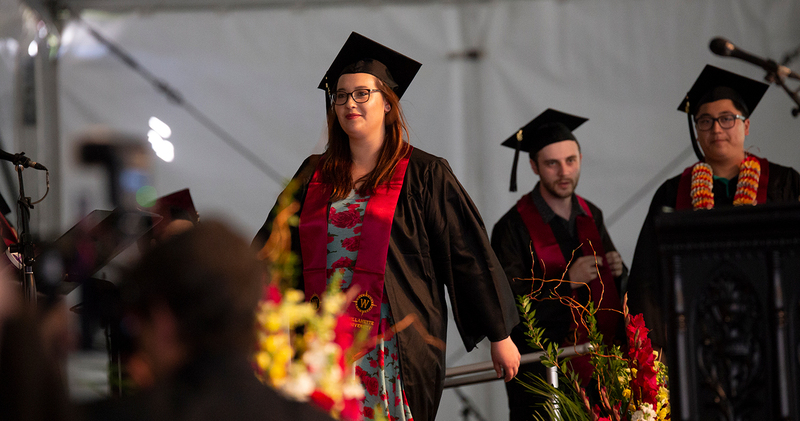 Recipients were selected based on their time and effort spent in the name of Willamette University, the diversity of their activities and their impact on other students. 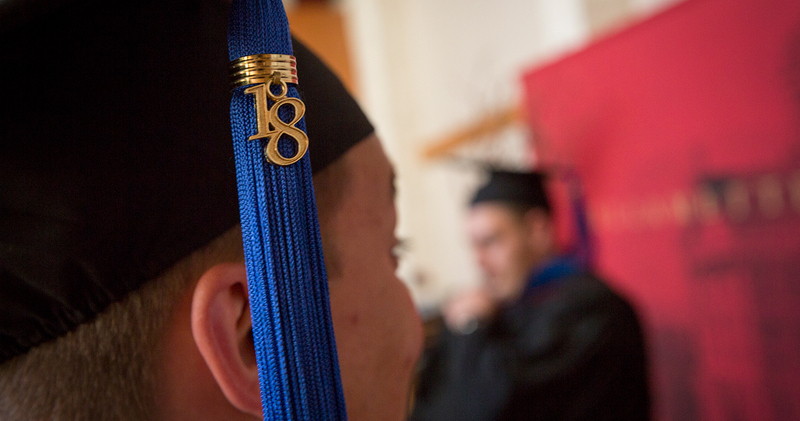 The recipients of the Keys, the highest awards, received medallions to wear at commencement. Friday evening saw the Black and Brown Joy event, a celebration of graduating seniors of color. 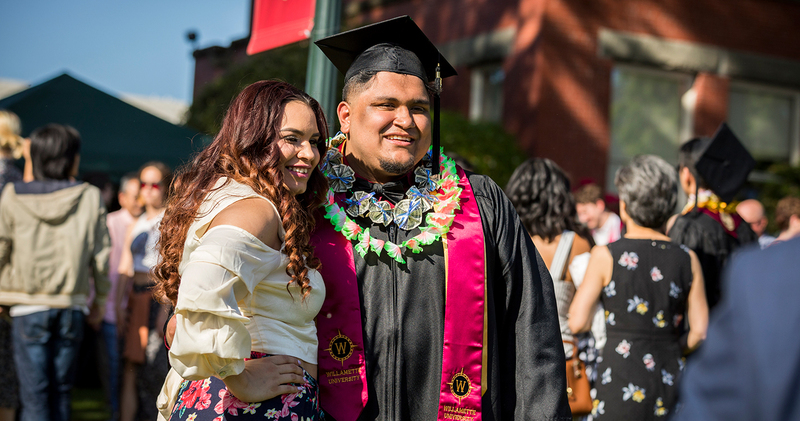 Initiated by students in 2017, this year it was organized by Willamette’s Office of Equity, Diversity and Inclusion. 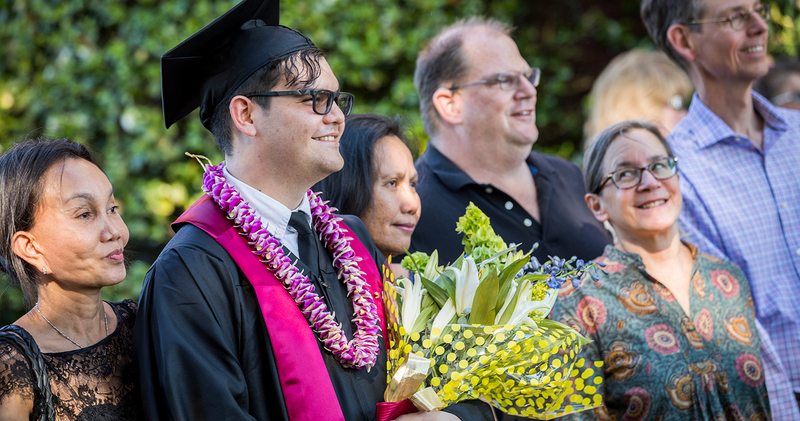 At a reception held at Hallie Ford Museum of Art, 32 graduating seniors joined with their families and friends, as well as Willamette faculty members and staff. 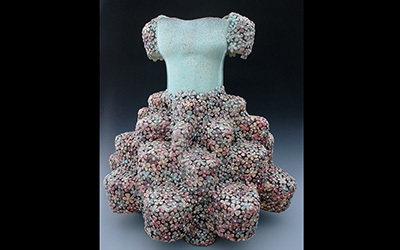 College of Liberal Arts — 395 Bachelor of Arts and three Bachelor of Music degrees. 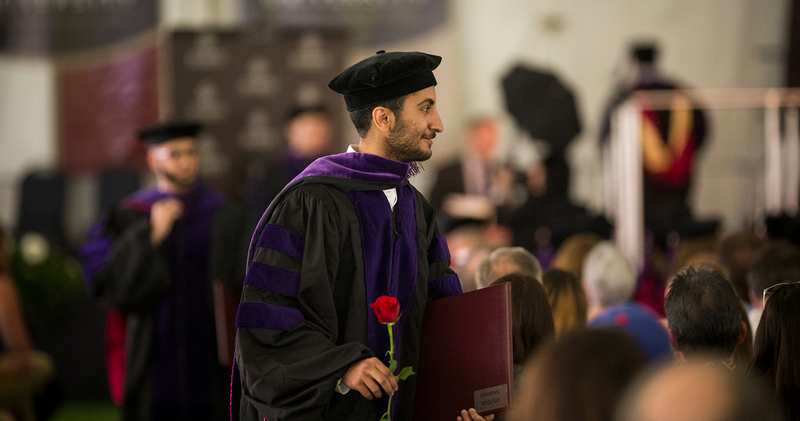 College of Law — 72 Doctor of Jurisprudence, eight Master of Laws, one Master of Legal Studies. 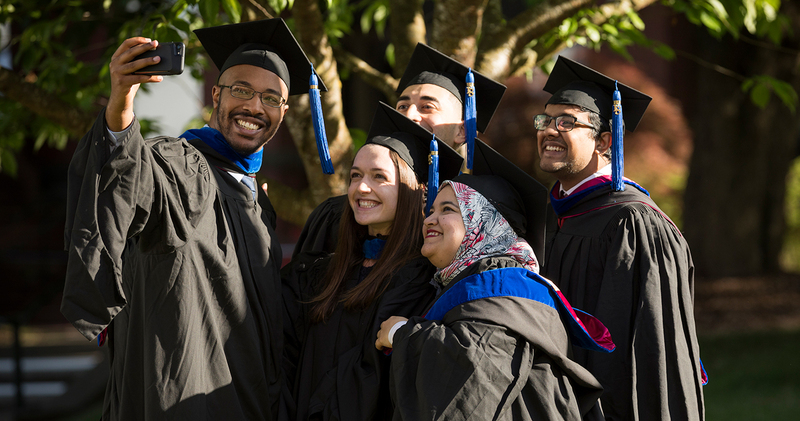 Atkinson Graduate School of Management — 59 Master of Business Administration for Business, Government and Not-for-Profit Management. 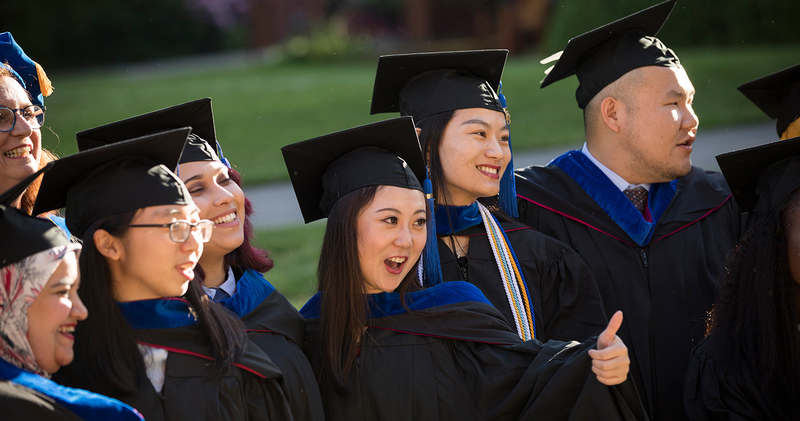 59 Master of Business Administration were awarded in August 2017 and January 2018 to students in the MBA for Professionals program. 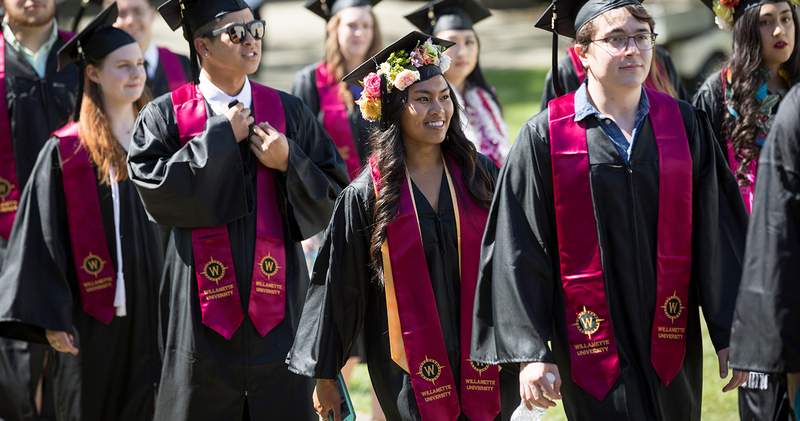 Of the Master of Business Administration for Business, Government and Not-for-Profit Management, a number were dual degrees — 13 BA/MBA and 1 JD/MBA. 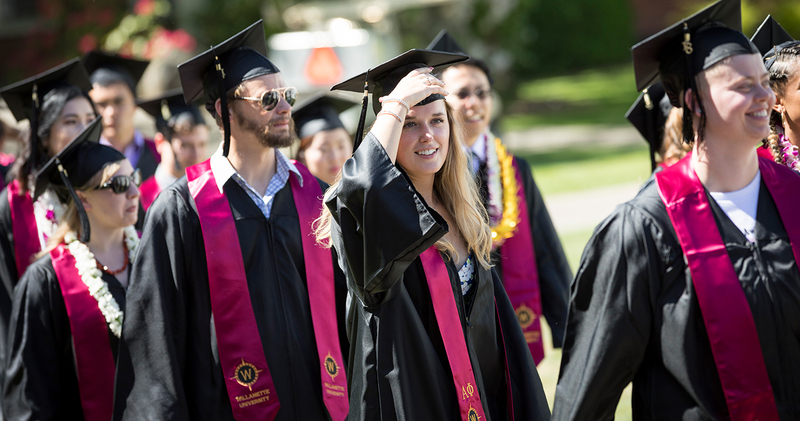 Thomas M. Lauderdale, founder of Pink Martini, speaks at the 2018 Willamette University Commencement for the College of Liberal Arts about the influence of a liberal arts education on his career. 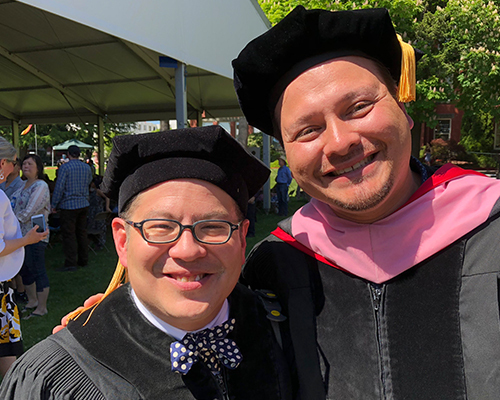 Lauderdale, left, was introduced by Assistant Professor of Music Héctor Agüero.